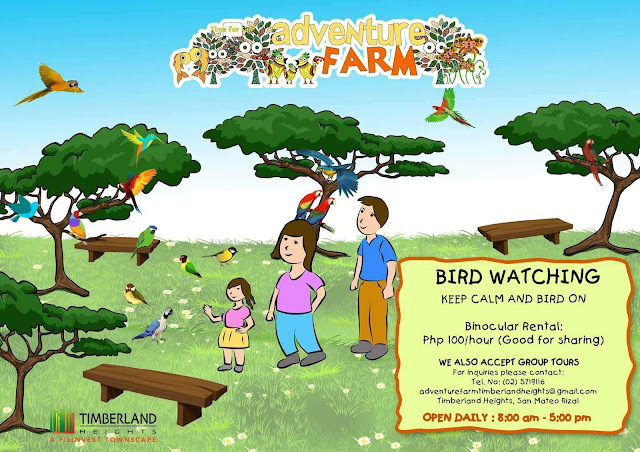 Up in the hills of San Mateo in Rizal is a quick escape from the urban jungle. 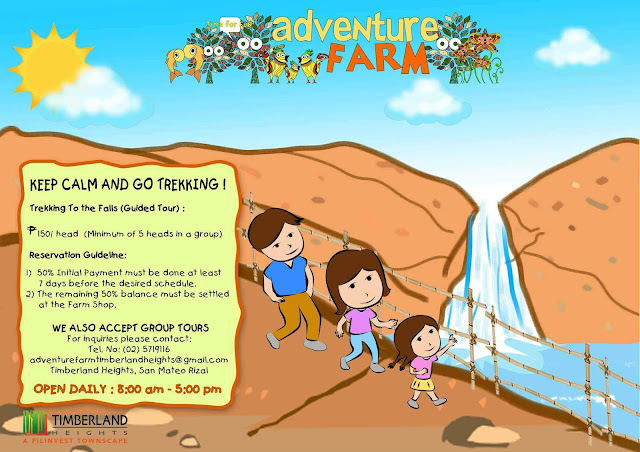 Offering various outdoor activities, Adventure Farm is all about good, clean fun for the whole family. I was able to visit the place the first during Sandugo's Camp Adventure. 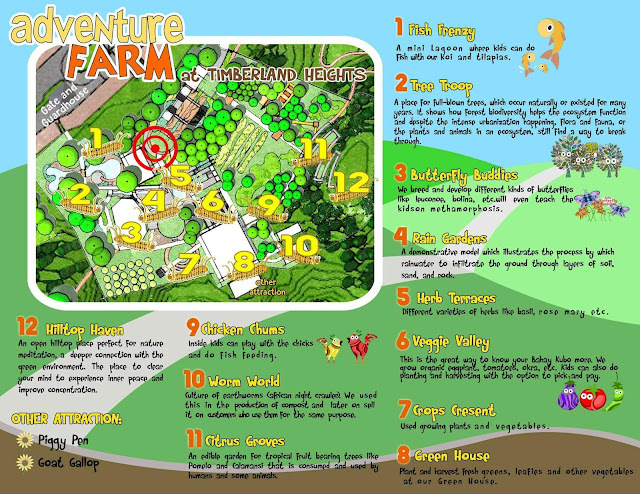 The second time, it was for the "Bloggers Camp" where my colleagues and I were pitted against people from Timberland Heights in a round of contest across the obstacle course that is the Adventure Playground. 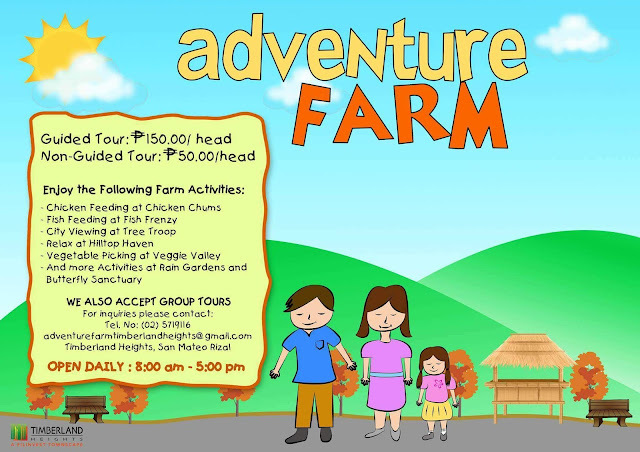 Before going into the said contest, we were able to experience what Adventure Farm was all about. 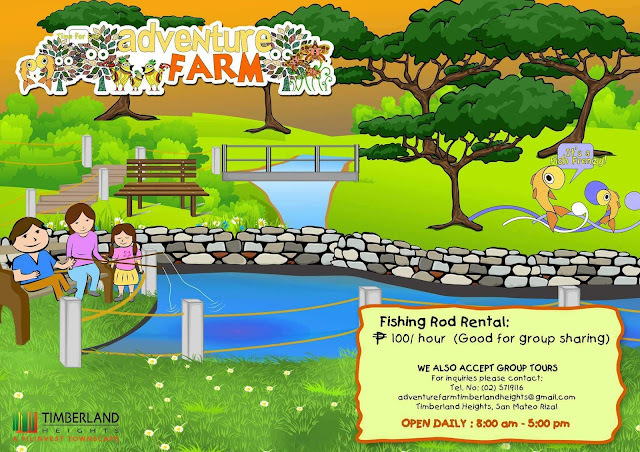 Donning farm hats, we started the farm tour by feeding the fish and the ducks. We then proceeded to the butterfly sanctuary to learn about the life cycle of the creatures and to see this up close. 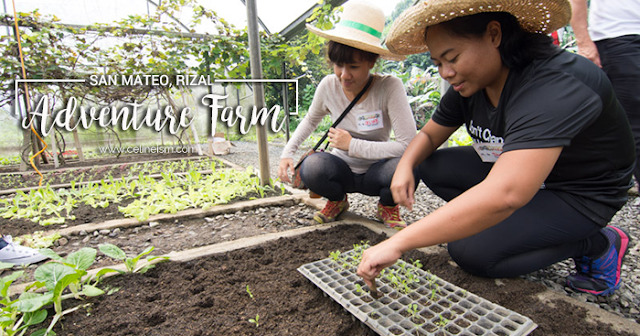 Next, we went to the organic greenhouse where we got to try our hands at planting lettuce. We also got to see how mushrooms are cultivated. After, we proceeded to chicken coops where we saw the fattest, most energetic chickens ever, plus a duck with an existential crisis. 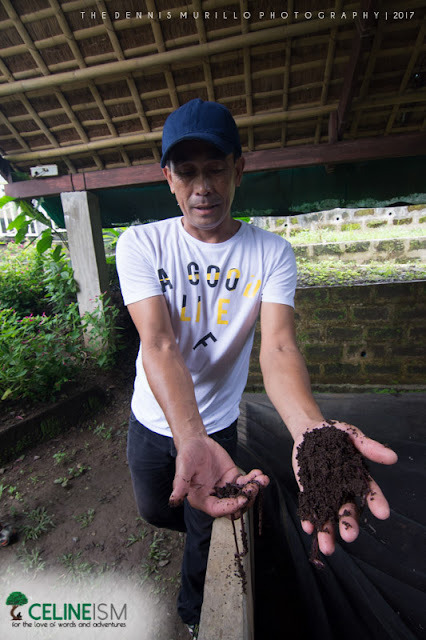 We were then shown the vermiculture area where there happened to be a pig-roasting going on. 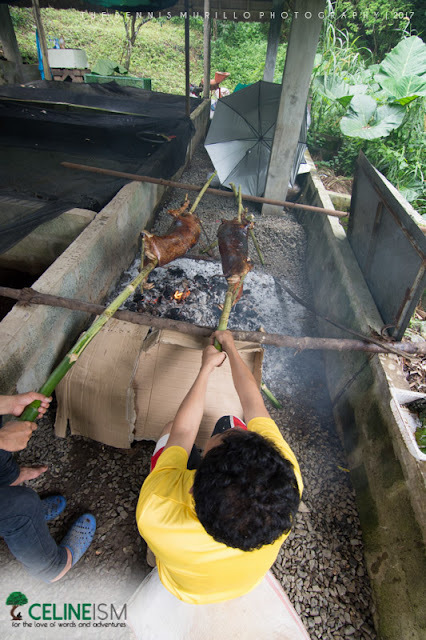 We were having organic lechon for lunch! Seeing what are probably the brothers and sisters of our lunch next had no effect on our appetite. But I was still amazed of the fact that there was no foul stench hovering over the farm. 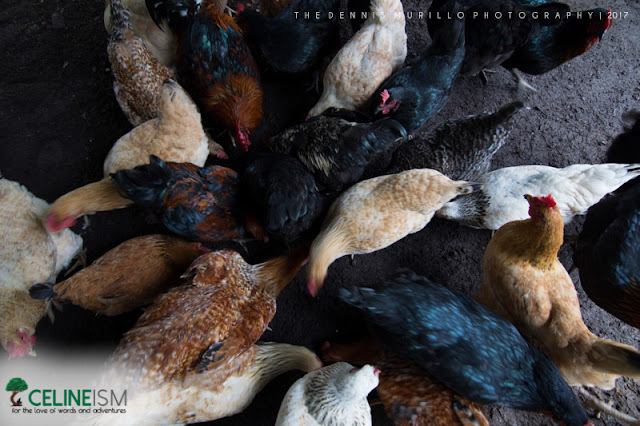 I've found out during my first visit that this was because of the probiotics that the hogs and the chickens ingest. 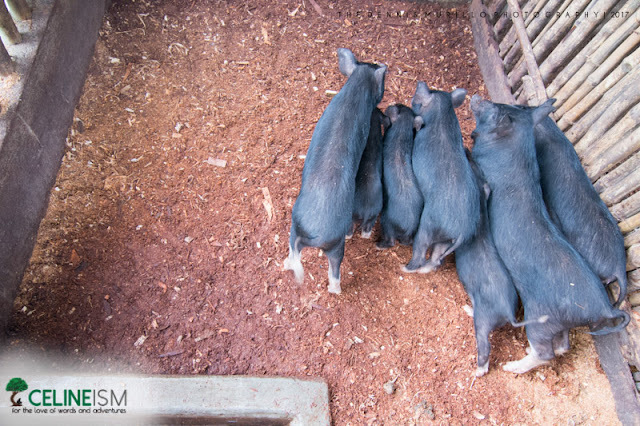 These not only neutralize and prevent the odor, it also helps to keep the animals healthy. Our last stop was the herb garden. Potted herbs are plenty here – mint, basil, taragon, what have you. These are for sale and can be brought home as souvenirs or gifts for the green-thumb in your life. 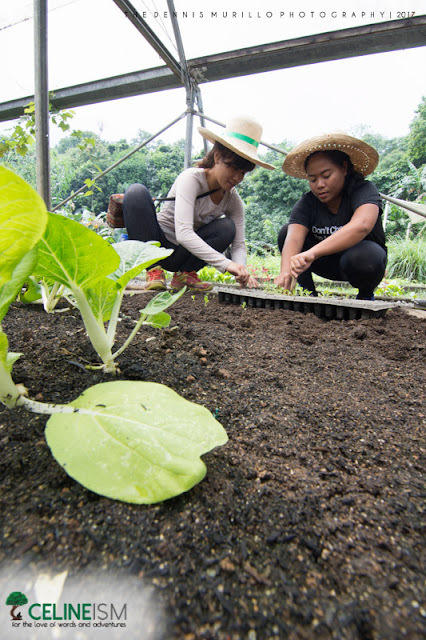 A pick-and-pay system is also done over at the organic vegetable farm. 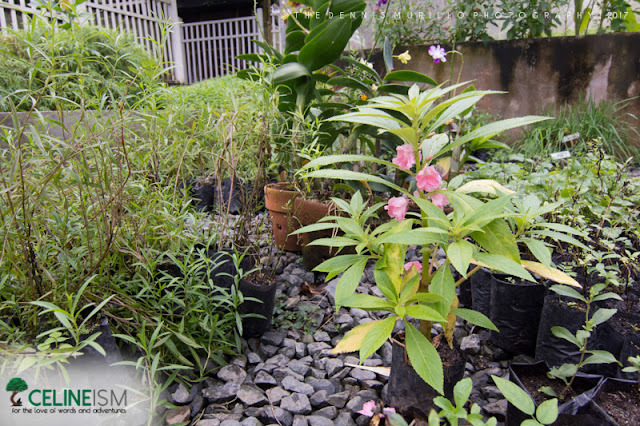 Native tree-planting can be performed upon request. 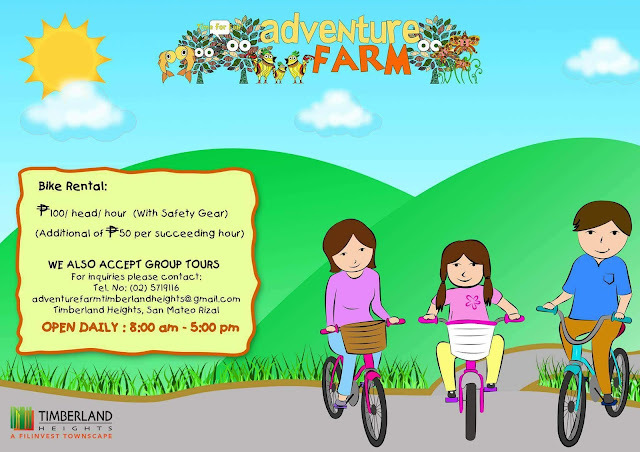 When we finished our tour of the farm, we then had our lechon lunch before proceeding to the Adventure Playground. We came in second (hehe) to Team Timberland, but had an awesome time! We then cleaned ourselves up and pitched our tents on the camping grounds. 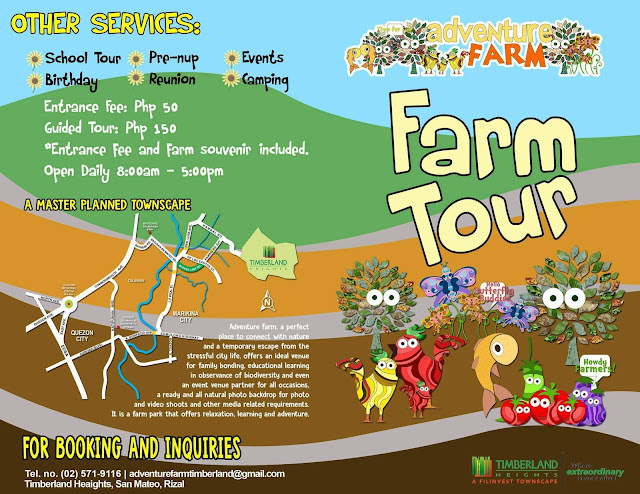 Aside from a dose of agricultural fun, camping can also be done at Adventure Farm. They have tents for rent here, and of course, you can bring your own. The hill that serves as the camping grounds provides a view of the city and has a designated fire pit for camp-fire acoustic sessions and smores-making rounds. 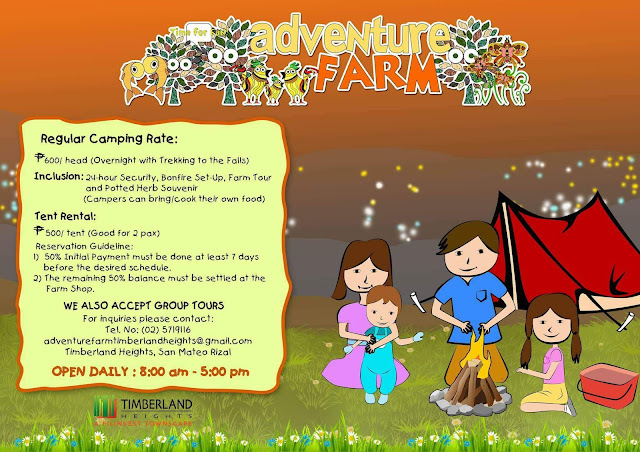 Camping Rate (at least 1 week prior reservation required, must be a minimum of 5 persons) - Php600/head, with free bonfire set-up and 24-hour security, inclusive of farm tour and trekking to the falls; tent not included. From Quezon Memorial Circle, go northeast via Commonwealth Avenue past Ever Commonwealth Center. Turn right before Sandiganbayan to Batasan Road then turn right to Batasan-San Mateo Road. 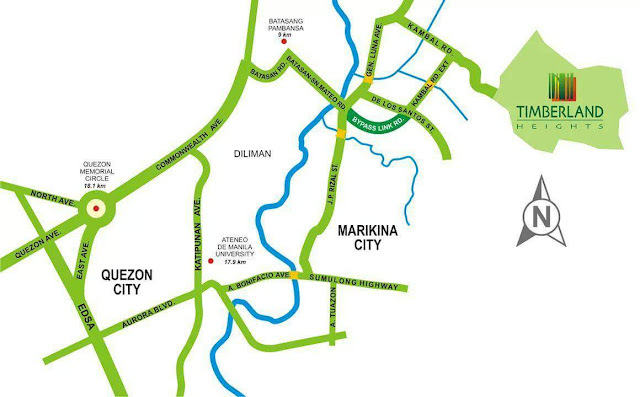 Cross the bridge over Marikina River then turn left to Gen. Luna Avenue. After passing Tropical Hut and Mercury Drug, turn right to De Los Santos Street. When the road begins to slope, turn left to the highway going to Timberland Heights.